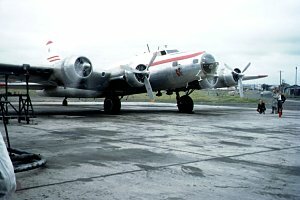 Kenting B-17 CF-HBP outside Adastra's Hangar 13 at Mascot in 1958. This aircraft is now in the collection of the National Air and Space Museum in Washington. Kenting B-17 CF-HBP outside Adastra's Hangar 13 at Mascot in 1958. Refer to the larger image for identification of Adastra personnel in the photo. 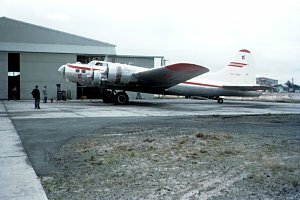 Kenting B-17 CF-HBP outside Adastra's Hangar 13 at Mascot in November 1958. 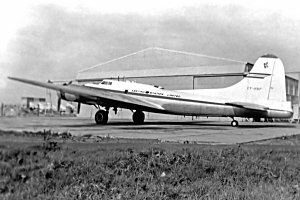 The B-17 departed Sydney for Brisbane and Biak on 30 November 1958.